The Cousteau Weekends are back for 2019. Every weekend until March 8, 2019 we will upload a Cousteau documentary that will be available for free for all during one week. This new collection of Cousteau classic movies is centered around Calypso’s adventure across the world. We have therefore specially chosen 8 episodes for you which best illustrate the adventure the Cousteau Team aboard their legendary boat: the Calypso. Last week you joined us for the second part of "Calypso's Search for Atlantis". Yet, very few places in the world have made men dream so much. The colossal stone statues that the explorers described there, quickly caught imaginations. 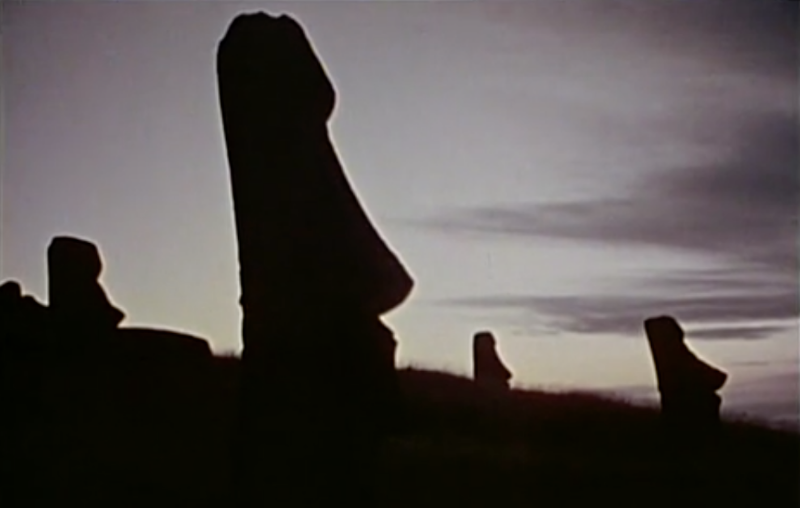 Which civilization had carved and erected these megaliths? By what means did they put them on their pedestal? Could it have been the work of fabulous heirs of the legendary continent of Mu, the Atlantis of the Great Ocean? Did the workers who put up these strange giant minerals benefit from extraordinary methods, unrelated to those of the other peoples of the Pacific? Is it possible that they had mastered atomic energy? Gravitation? Or telekinesis? These and other incredible questions have been asked about the statues of Easter Island - called Moai. When Captain Cousteau and his son Philippe land on this land of enigma, they obviously do not believe in the assumptions of magic or the irrational. But, like the first European visitors to the island- the Dutch explorer Jacob Roggeveen, Captain Cook or Perugia - they are fascinated by this civilization. They want to know more about what happened, in Pascuans. The island and its inhabitants may have unwittingly written an ecological testament from which we could benefit for the future of humanity.